Today Ethan experienced his first snow! 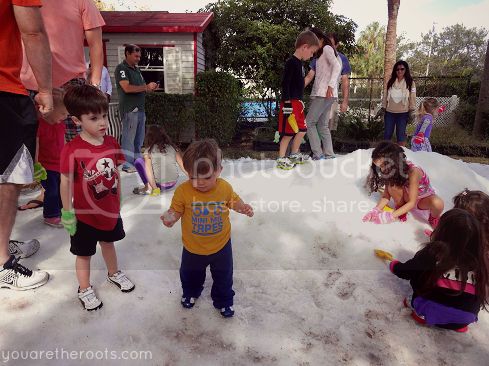 Our local JCC held an "it's snowing in Boca!" 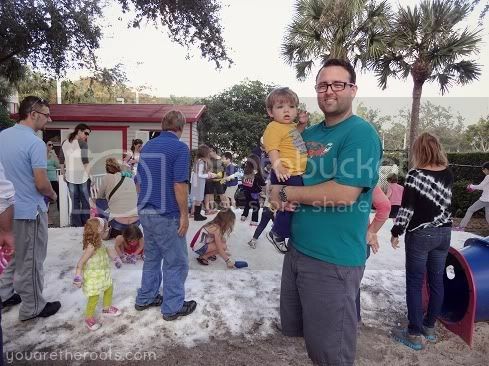 event in which a huge pile of manmade snow was dumped in the back of a playground and the children were able to play in it. 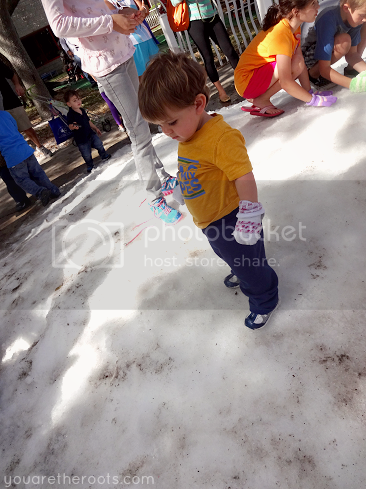 Ethan was freaked out by the cold, slippery stuff underneath his shoes. My husband was worried Ethan would overheat in his sweatpants. 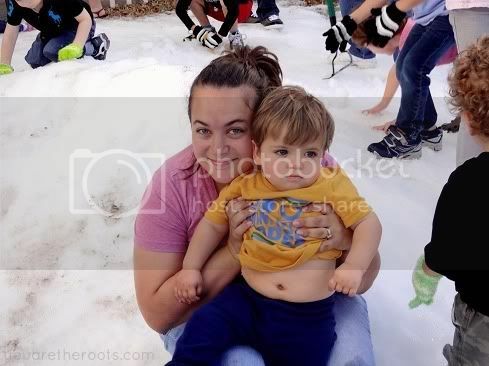 I was snapping pictures and giddily having a blast celebrating Ethan's first snow. I know. 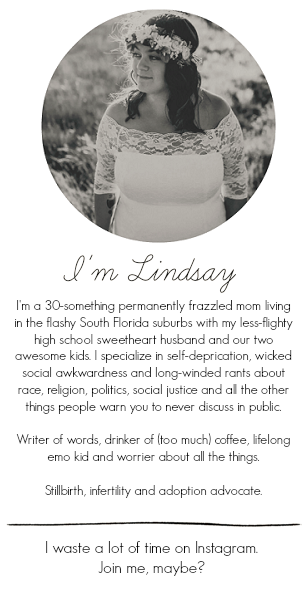 Us Floridians are way tacky. My toes felt numb after about three minutes on the pile of snow posing for some pictures with Ethan. Kudos to everyone who deals with real snow -- I'll stick to flip-flops and beach days in December. How cute and awesome that the kiddos get to enjoy some snow! Oh, how I would love to wear flip flops and enjoy the beach in December! Although we are enjoying 70+ degrees outside right now, I'm afraid at any moment the ice and snow are going to appear! 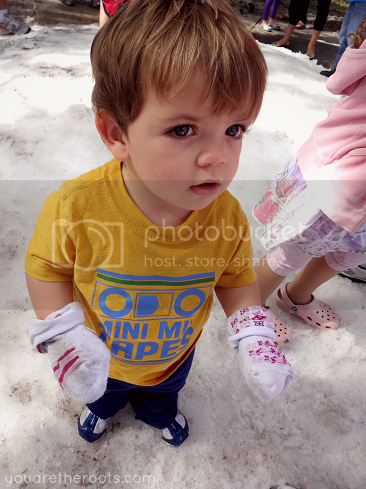 But I imagine Gage in his little winter clothes would be cuteness overload, right?! That's the part I envy the most about cold weather, haha! The socks! On the hands! Precious! I wish we had some snow so I could see how my baby would react (my guess is he wouldn't love it). Your little guy is precious! At first I was confused about the big deal of snow...then I remembered you live in Florida!!! what a special treat for your boy! Hahaha! Yes! 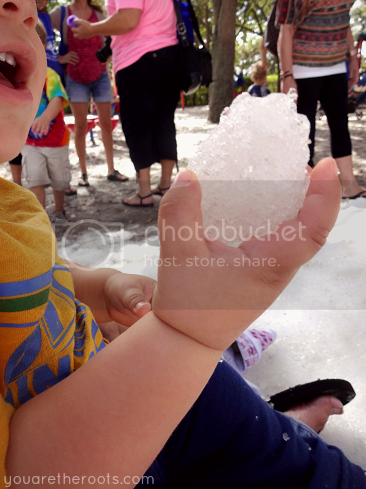 Snow and it was 85 degrees outside -- typical Florida! It was all the cold we could handle! We're wimps!